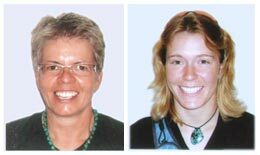 Liz & Jane from Canada - BOUNDLESS HIMALAYAS TREKKING & EXPEDITION (P.) LTD. Thank you so much for taking such great care of us! We greatly appreciated how much work you did in preparing our Kanchenjunga trek- even though we had to cancel it last minute. The Sikles trek was a perfect substitute given my mom’s lousy foot. The staff who accompanied us on our trek were beyond exceptional. We have become great friends with them & look forward to seeing them again soon. Also thank you, Min, for coming with us for a few days on this trek. We greatly enjoyed your company and were sad that you had to leave early! Also thank you Vijaya for coming on this trek as we had a lot of fun with you and were happy to have you English translator expertise with us! Another trip you organized for us was a group rafting trip down the Seti River. My mom and I along with all the friends that would join us had an amazing time. Our rafting guides were great we all agreed that we would greatly recommend this trip anyone visiting Nepal. The birds, jungle, people, bridges, peacefulness and of course rapids were AMAZING! Finally, thank you for also organizing our Bardiya trip. Our stay at Rhino Lodge was heavenly. Not only were we often the only guests there but we became very close with the staff there. Our guide Padam was amazing – we miss him! Min, you have been an amazing trip organizer and more than that a wonderful friend. You have shown us much care and compassion throughout our stay in Nepal & we will never forget it! We truly came to love you & your family. My mom looks forward to seeing you in the Spring. Good luck with everything & take care!